I received another letter from Zach yesterday. It was very short, because his time is very limited (17 hour days). But, he's still alive and doing well! In other news: I get to go see my favorite musical tomorrow night. 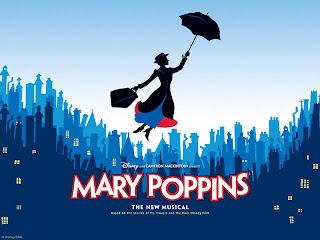 Mary Poppins!!! I will be sure to report back on how amazing it was. I have found that the time goes by faster if I keep to a schedule during the week and make plans for each day of the weekend (whether it be lunch with a friend, a haircut, a mani/pedi appt, or even a musical)! Tomorrow marks two weeks. Only 8 weeks left to go!! You're doing great! Can't wait to hear about the musical!